Ever since children have learned to read, there has been children’s literature. Children’s Literature charts the makings of the Western literary imagination from Aesop’s fables to Mother Goose, from Alice’s Adventures in Wonderland to Peter Pan, from Where the Wild Things Are to Harry Potter. "Splendidly well written, and both wide-ranging and comprehensive." "It’s a thick scholarly tome, but also a charming read that revels in children’s imaginations and the timeless works that stimulate them. . . . The book’s main attraction is its obvious delight in the subject matter: Lerer perfectly captures the love of literature that follows a voracious child reader into adulthood." 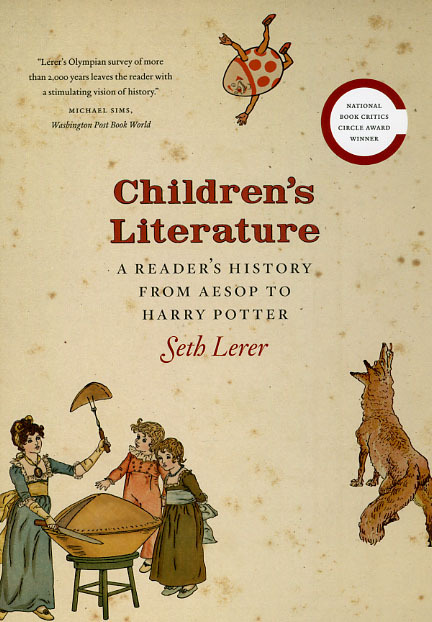 "Lerer has so many unusual insights, and illuminating observations that anyone who loved reading as a child will find his book utterly absorbing." "Children’s Literature will make many people reconsider, re-evaluate, and perhaps re-engage with the body of writing that has been generated for the young over the centuries. . . . A well-written and entertaining book."